“As the District Attorneys who serve all of the residents of New York City, we want to reaffirm our commitment to prosecute vigorously crimes that are motivated by bias and hate. “We have never and will never tolerate such acts – particularly those involving violence, intimidation, and destruction of property. As demonstrated by yesterday’s FBI report on national hate crime statistics, these crimes are becoming more commonplace. Within the past week, our offices have become aware of multiple incidents where New Yorkers received threatening messages related to their race or religion, and we are carefully monitoring these reports. “Crimes of bias are intolerable, and tear at the very fabric of our society. Crimes committed against individuals because of their race, national origin, gender, religion, disability, or sexual orientation do not just inflict physical and emotional damage, but threaten the safety and wellbeing of all New Yorkers. “The U.S. Constitution equally protects the rights of all Americans, and we are dedicated to enforcing the laws that uphold those rights. 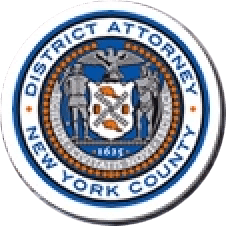 New York State law enables the criminal prosecution of those who commit crimes against anyone in New York, whether or not that person is a U.S. citizen.